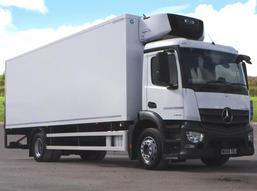 1824 Antos Trucks For Sale | HGV Traders - Powered by the trade. Welcome to HGVTraders.com - A unique digital marketing platform for buying, selling & managing trucks. Promoting the best new and used commercial vehicles and trailers available from fully qualified traders in the UK and Ireland and delivering real measurable results for traders at a considerably lower cost than existing truck portals. Sign up to our newsletter to receive our latest news & updates.